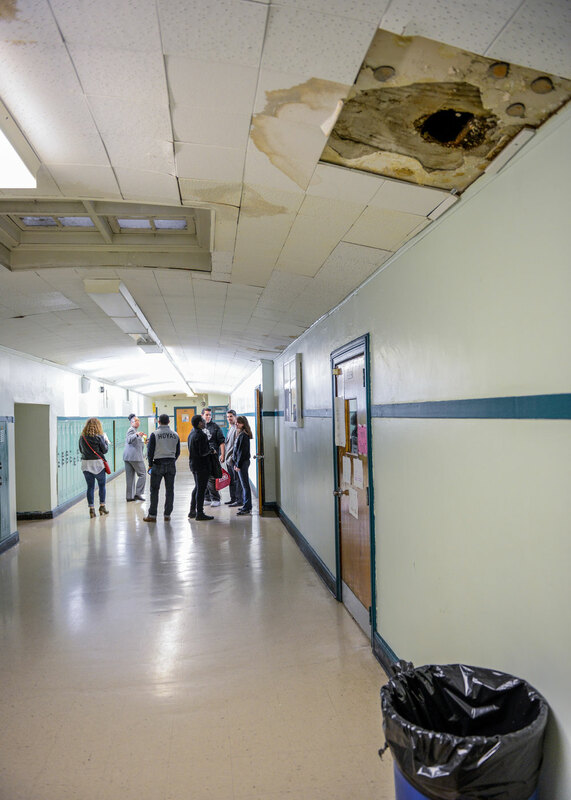 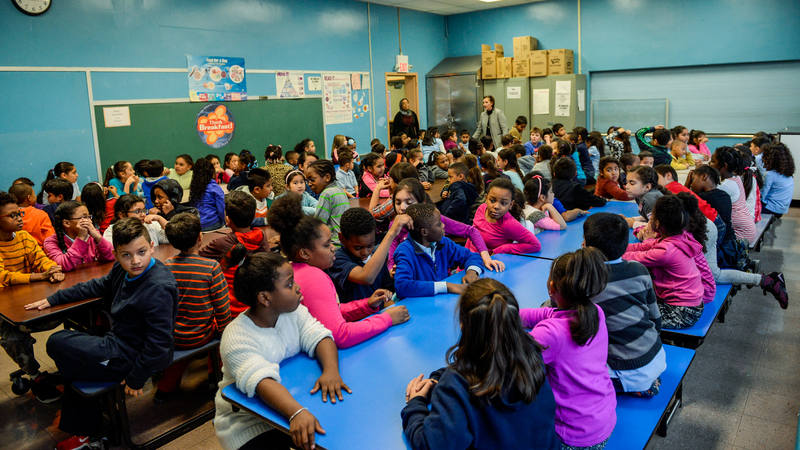 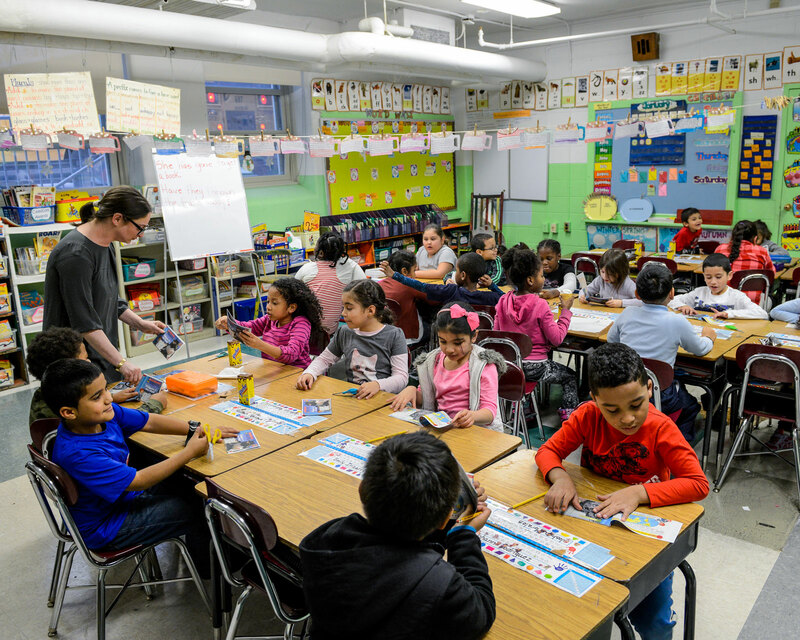 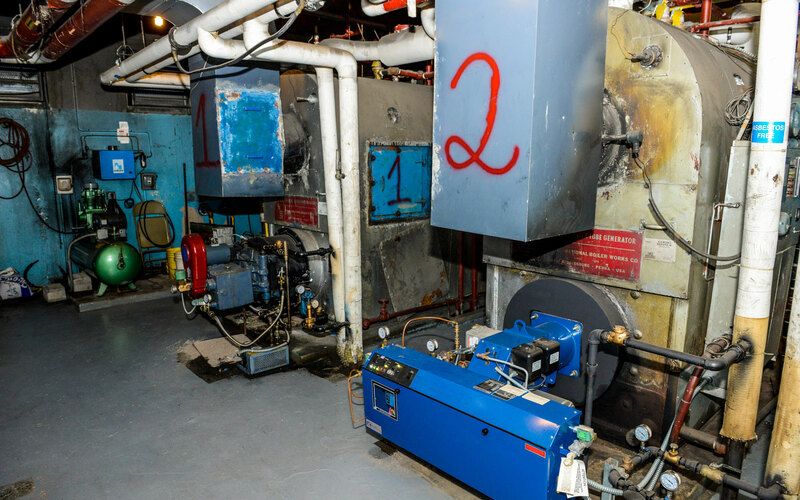 The boilers at Martin Luther King, Jr. School are in dire need of replacement. 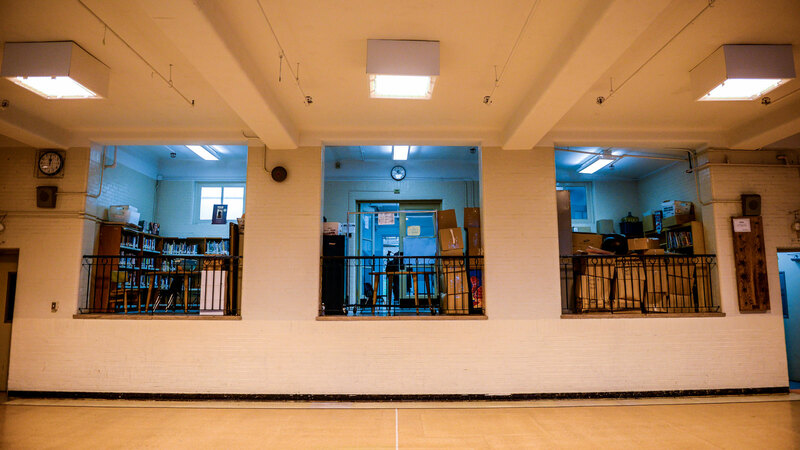 This is the library at School 16, located in the school’s gymnasium. 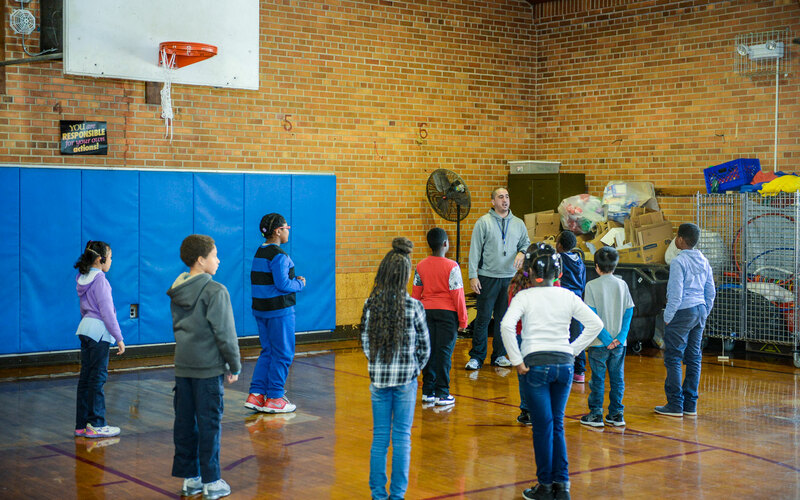 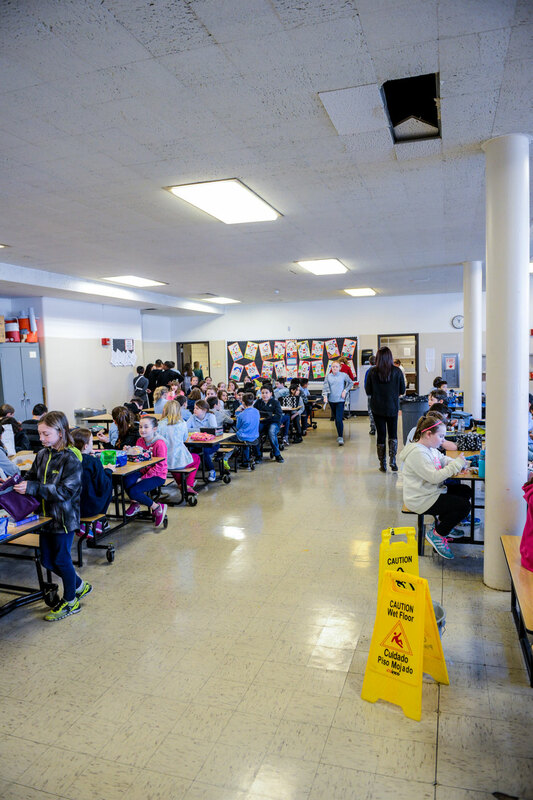 The gym at Museum School 25 doubles as the school’s cafeteria and storage area. 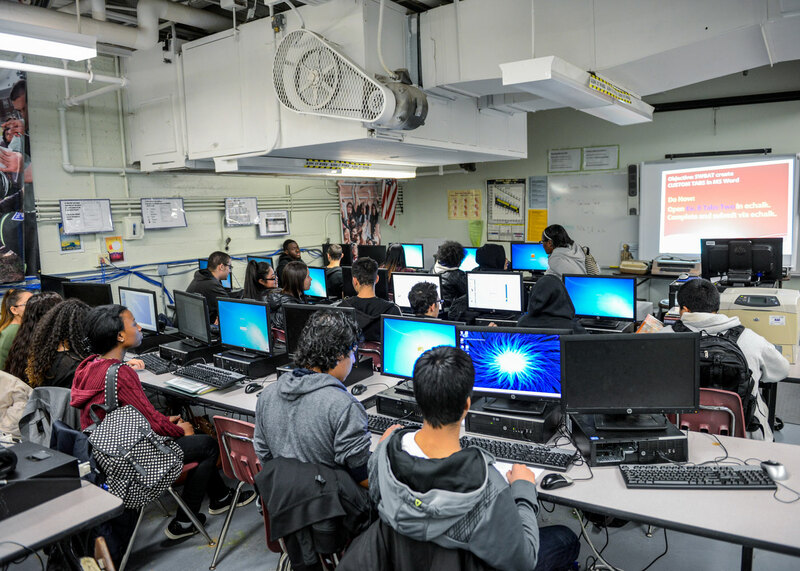 A basement computer lab at Gorton High School where wintertime temperatures exceed 83 degrees. 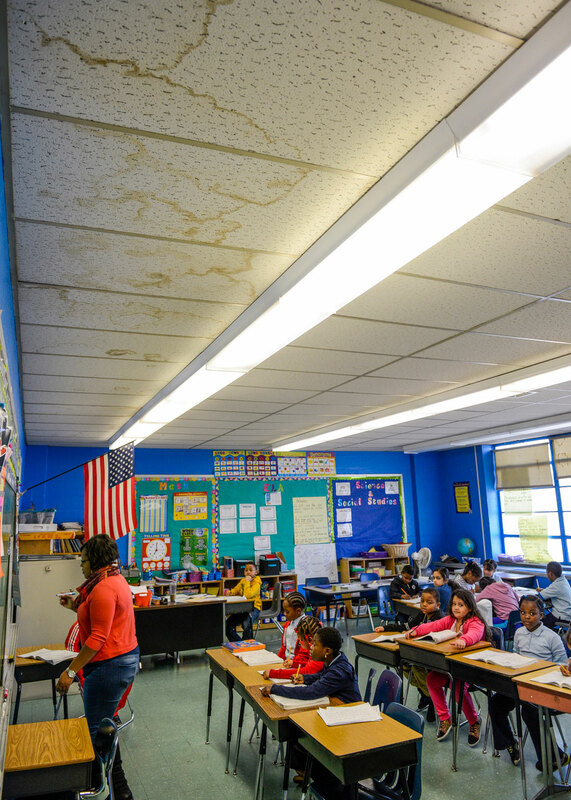 A basement art classroom at Patricia A. DiChiaro School.